Dialog with the public is important to us! Whether you are a job seeker, an analyst, a consumer or a customer and you could not find the information you were looking for, or you have specific questions, please feel free to reach out to us. We have put together the answers to some frequently asked questions below. 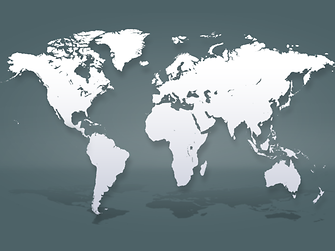 You can find phone contacts or postal addresses in our global locations overview. Or you can reach us by using the contact form at the bottom of this page: Please choose the topic of your request to help us reaching out to an expert to answer your inquiry swiftly. You can also help speeding up the response by using the contact form of the local website for your country or region. I am interested in a position at Henkel. How can I apply? I am looking for a Henkel brand. How can I get it? Who can I contact if I am not happy with my product? I am looking for data sheets. Where can I find them? I am interested in a partnership with Henkel. What can I do? 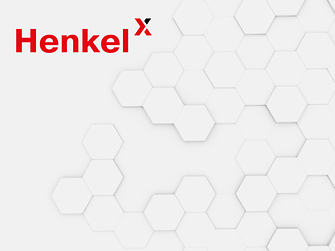 How can I become a Henkel distributor? You can search for open positions and apply directly online. Our HR team will get in touch with you once they examined your documents. As our recruitment process is standardized, it does not include unsolicited applications. You haven’t found the position you were looking for? Please create a personal profile within our application tool and activate alerts for positions you are interested in. You will then be automatically informed as soon as new positions you may be interested in are posted. For more information visit our career FAQs. You can also get in touch with our HR team and stay updated on career opportunities on Facebook, LinkedIn and Instagram. You can find the full range of our brand portfolio in “Brands & Businesses”. There you will find an overview of the brand and you can check if the brand is available in your region. You will also find a link to the brand website, where you can find more details about the product you are looking for. On many brand websites you will also find links to online shops where you can order the product. We are sorry to hear that our product did not meet your expectations. Please write us a message using our contact form below. It is easiest for us and speeds up the process if you choose the form for the category of the product: Adhesive Technologies, Beauty Care or Laundry & Home Care. Don’t forget to indicate the name of the product and your country. Our experts will get back to you shortly. Henkel Ventures is open for different innovations. This could include Advanced Materials & Technologies like 3D Printing or FMCG innovations like IoT and Smart Packaging. On terms of research-driven partnerships we are looking for partners who already hold a patent relating to one of our three business areas. In this case please read if your patent meets our requirements. If so in the next step you can submit your patented idea. If you have an innovative idea for Laundry & Home Care solutions without patent find out more about our requirements and a step by step explanation on how to submit your solution with the help of this form. We are looking for digital innovations under the Henkelx umbrella, e.g. the Show & Tell Start-up events, which you can register for, provide a great opportunity to present ideas! In selecting and developing our suppliers, we consider their performance regarding sustainability. Check out our Suppliers page to learn more about this. 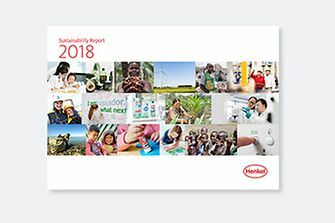 Please note that processes for ordering Henkel products for distribution and sales contacts vary from product to product and from region to region. To reach out to the right contact person our suggestion is to use the contact form on the local website. Please check out the overview of all our websites. In case you can’t find your country or region on this list, please use the contact form on our global website down below and don’t forget to mention the product, your region and indicate that you are searching for a sales person to become a distributer. We will use your data for the purpose of replying to your request. If you have not given consent to a longer storage duration e.g. in the course of our stakeholder relationship management we will store the data no longer than needed in order to fulfill the aforementioned purpose or as long as required in case any statutory retention obligation applies. For more information on how Henkel processes your personal data please refer to our Data Protection Statement. * In order to provide you with quick feedback, it is absolutely necessary that you send us the information marked with a red asterisk. Other information is optional and will only be used to respond to your questions, suggestions or requests.